Cassidy, John F., and Art Whitford. “Unusual “Love Waves” Recorded Above the Cascadia Subduction Zone.” Seismological Research Letters 67.6 (1996): 49–51. Sanders, Frederick, and John R. Gyakum. “Synoptic-dynamic climatology of the “bomb”.” Monthly Weather Review 108.10 (1980): 1589–1606. 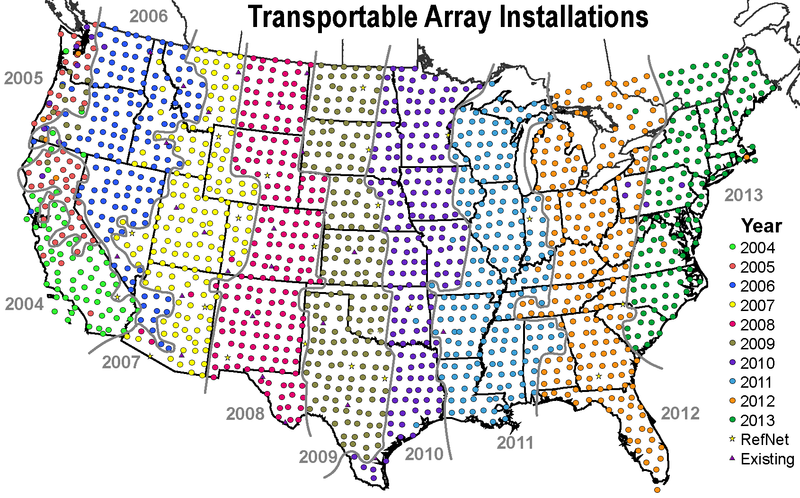 This week we tackle a listener requested show - the transportable array! Join us as Robert Bubsy joins us to talk about managing the project.